I have this set of LEGO gears. I remember seeing them first at my grandparents in the mid 80's. They predate my first Technic sets (~84 or 85). I have fond memories of my dad building a 3-speed gearbox with those. The gears have a kind of spring (although some springs are missing) that snaps in the small dent at the end of the white axles. 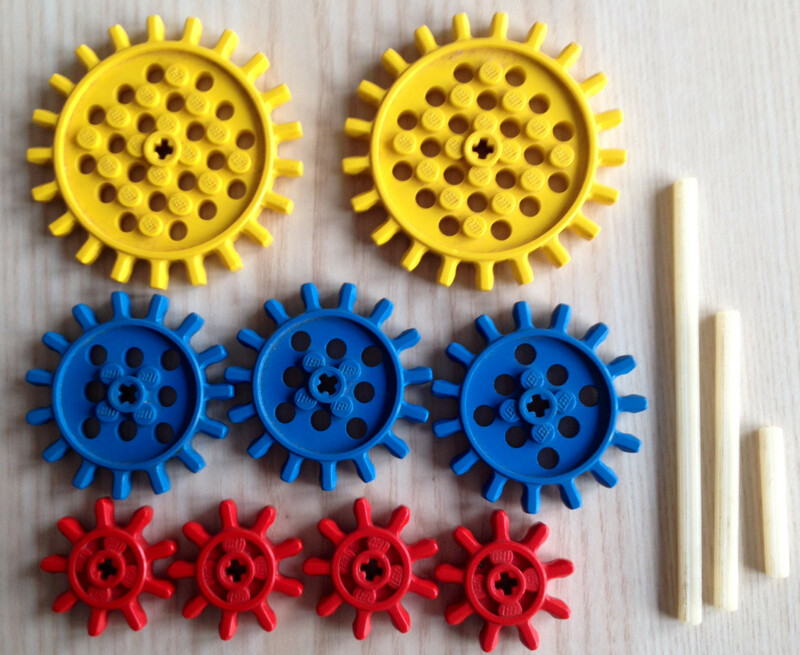 Also the gears have an odd number of teeth (9, 15 and 21) so you only have 1 chance out of 4 to align them correctly. Axles are compatible with (black) Technic axles, and the gears can be attached to Technic, even if the teeth sizes are not compatible. I found some references to similar (in shape and color) Samsonite branded gears, but they're not alike. Also, it looks like Samsonite gears were sold in the US only, so it's very unlikely for such a set to be found at my grandparents in Europe. My question is: from which set(s) are those cogs from? When were they produced? Are they pre-Technic or were they produced in parallel? The Lego Technic branding was introduced in 1977 (source), so while the sets listed above do not carry the Technic name, they may have sold well and inspired the Technic line. Not the answer you're looking for? Browse other questions tagged technic part-identification gears set-identification or ask your own question. Why did Technic bricks have holes in the studs? Are Samsonite gears compatible with modern Technic gears? Technic axle corrosion? What happened here? Do all technic bushes (3713) have the LEGO label on them?